I’m going to be honest: there are no bear attacks or Leonardo DiCaprios in this frontier- related blog post. 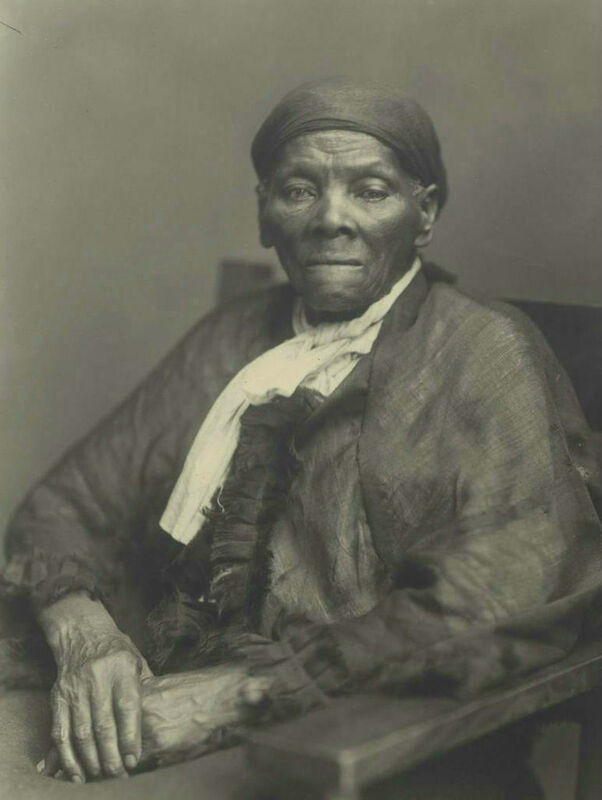 There is, however, the story of a modest Quaker husband and wife, Thomas and Hannah Symons, who, following their marriage in 1811, decided to migrate from their homes in North Carolina to settle in Indiana which at the time was still a largely unsettled territory. Initially, this doesn’t sound like a particularly exceptional story in keeping with the notion of American exceptionalism, but all ideologies aside, Hannah Symons’ recollections provide a fascinating and personal insight into the hardship, bravery and perseverance involved in sowing the seeds of a settlement on the American frontier. 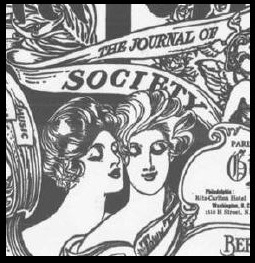 Everyday Life & Women in America c.1800-1920 features a full run of the rare periodical Town Topics: The Journal of Society (1887-1923) from the New York Public Library. Town Topics was a weekly periodical offering literature reviews, short fictional stories, sporting news and financial advice. The periodical actually began as The American Queen but the name was changed to Town Topics when Colonel E.D. 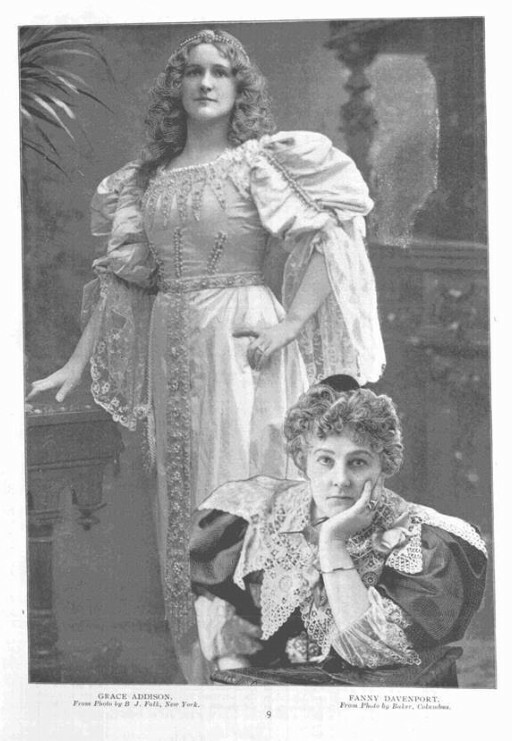 Mann assumed the editorship in 1891. As well as the name the success and the tone of the magazine were also set to change. 165 years ago this weekend, the doors of the Crystal Palace were opened to the public for the first time. This architectural wonder of glass and steel housed an array of exotic artefacts from across the globe and would welcome over six million visitors during the Great Exhibition of 1851; Queen Victoria, an unlikely fan of heavy machinery, would visit three times and had her own private boudoir installed inside. 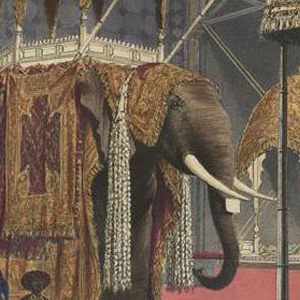 For many, the exhibition represents the pomp and circumstance of the Victorian Age. On a recent trip, I was lucky enough to take a detour and visit Niagara Falls, a tourist hotspot since the mid-nineteenth century. This stunning, natural phenomenon is one of the world’s most popular attractions, with more than 12 million visitors each year – and it’s not hard to see why. 2016 marks the 100th anniversary of the Easter Rising in Dublin, a rebellion which started on Monday April 24, 1916 and lasted until the following Saturday. 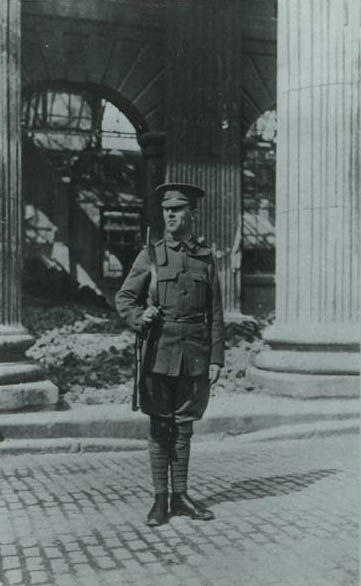 The Irish Volunteers, the main nationalist military organization, and the Irish Citizen Army, a socialist militia, captured key points throughout the city and proclaimed the establishment of the Irish Republic for the duration of Easter week in an attempt to rid the island of British rule. 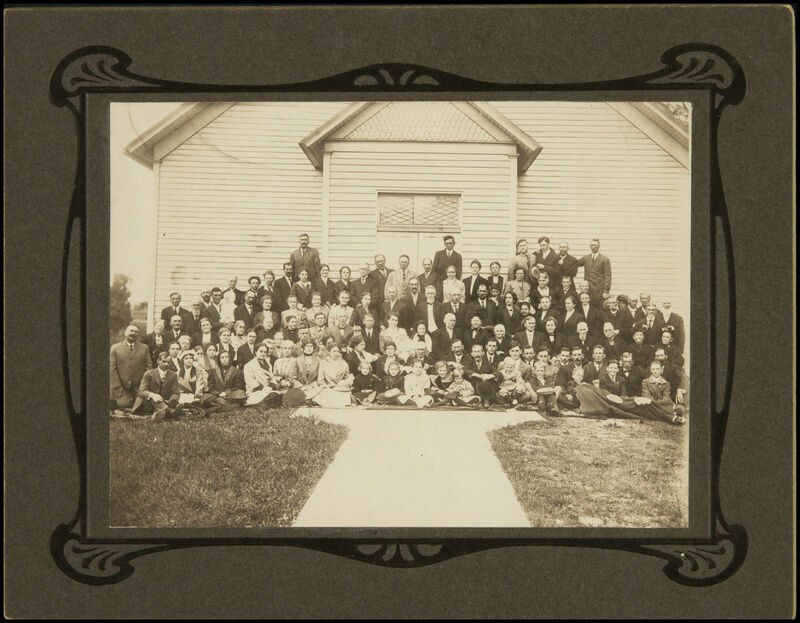 The Race Relations Department of the United Church Board for Homeland Ministries was created by the American Missionary Association Division in 1942 and was based at Fisk University in Nashville, Tennessee. 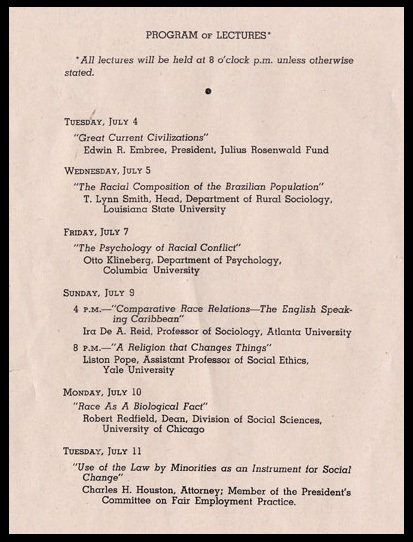 The formal program of the department began in 1943 as a forum to engage in a national discussion regarding numerous topics including racial and ethnic relationships, economics, education, government policy, housing and employment. 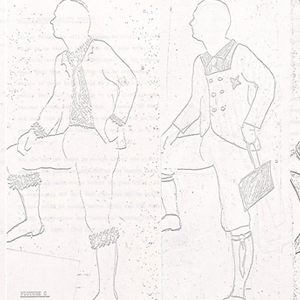 Back in 2006, I was hot on the trail of Ernest Dichter’s report on “The Peacock Revolution.” The phrase, which fittingly described the flamboyant turn in men’s apparel preference, has become part of the fashion lexicon even though its origins with Ernest Dichter are largely unacknowledged. Dichter’s consulting business, the Institute for Motivational Research, wrote the report as part of the marketing effort for postwar chemical giant E. I. du Pont de Nemours and Company. 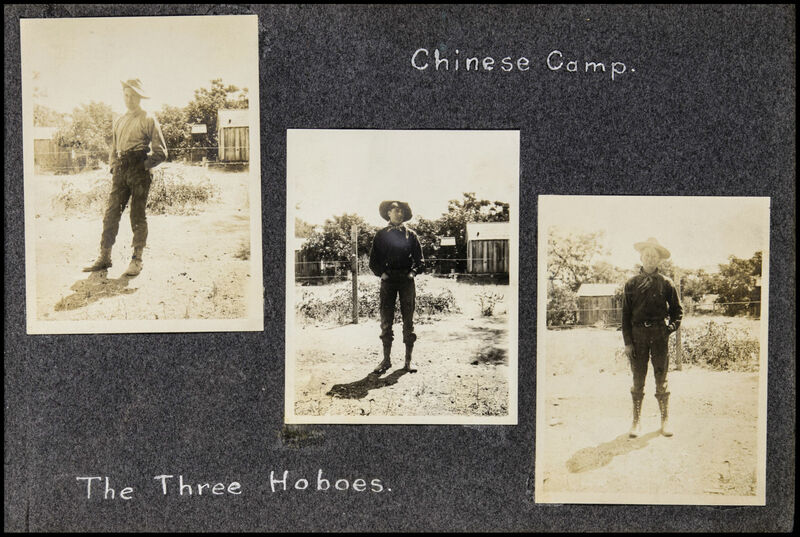 Whilst working on Church Missionary Society Periodicals, Module II: Medical Journals, Asian Missions and the Historical Record: 1816-1986, I have been constantly entertained and intrigued by the photographs which illustrate the periodicals. The articles surrounding an image can often offer an interesting insight into its production and its significance to the CMS mission. Singing about California while wearing a cupcake bra, running a business, racing yachts around the world, writing and producing a TV show, telling jokes to millions of people, leading a political party, writing Nobel prize-winning fiction, looking for cures, performing surgery … the list of fun, incredible and important work that women do these days goes on and on. Ok, so we don’t all own a cupcake bra like Katy Perry, but we do have the ability to choose a career that we want and for most women work is a part of our everyday lives. Summer 2016 will see the release of Adam Matthew’s History of Mass Tourism, a highly visual and searchable collection celebrating the growth of tourism from the mid-1800s to 1960s. One of the treasures found in this resource is a photograph album belonging to a young Alfred Ghirardelli, heir to the Ghirardelli chocolate empire, depicting a trip to Yosemite in the summer of 1903. 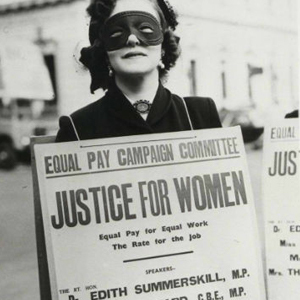 Excuse me - late to the party, as always - but last week, International Women’s Day, the annual celebration dedicated to championing 50% of the population for 0.27% of the year, rolled around once again. The latest online resource from Adam Matthew Digital is now available. World’s Fairs: a Global History of Expositions digitises thousands of pages of primary source material relating to the inception, planning, organisation, exhibits and experience of over 200 international exhibitions. 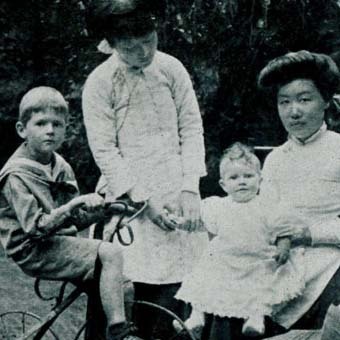 These enormous global events brought together the leading lights in technology, architecture, design and entertainment throughout the nineteenth and twentieth centuries, and continue to this day. An item I assessed back in 2014 provided a challenge in terms of how to digitise it; Spooner’s Perspective View of the Great Exhibition is a folding concertina peepshow. 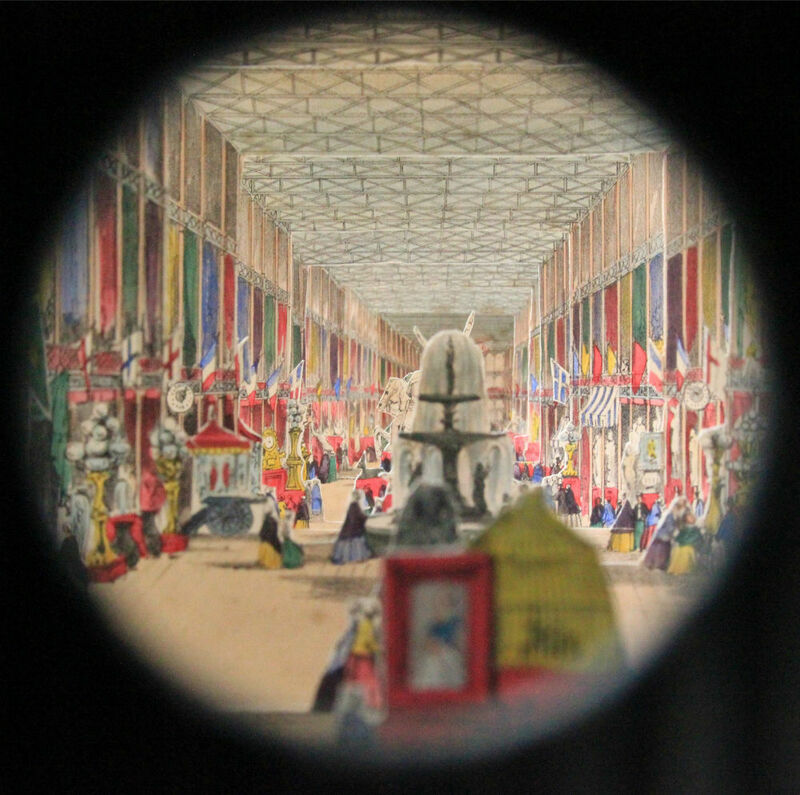 It is made of ten pieces of card, each with a different layer of a scene from inside Crystal Palace, where the 1851 Great Exhibition was held (widely regarded as the most influential single event in the history of design and industry). Folded out and viewed through the peephole, these pieces make up a three-dimensional perspective of a long architectural gallery. A little over a year ago I was lucky enough to visit Australia for the first time and spent some time in the city of Sydney. While wandering around the Central Business District and down to Circular Quay, it was hard to think that this major cultural and economic centre had only been settled by European colonisers a little over two hundred years ago. 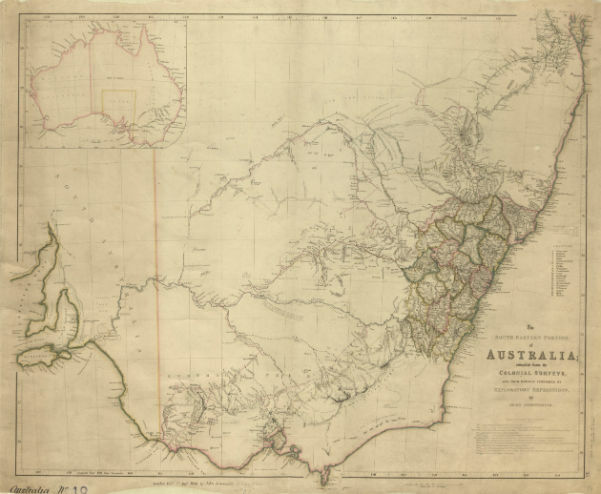 For it was on the afternoon of 26 January 1788 when a fleet of eleven vessels under the command of Captain Arthur Phillip entered what today is known as Sydney Harbour and started what was described by Robert Hughes in his book The Fatal Shore as ‘a new colonial experiment, never tried before, not repeated since’.